A majority of residents (81%) of the Silicon Valley of India, Bengaluru, said they have had at least one ‘game changer’ idea or invention, which could transform India’s work or leisure life, but one out of three does not know of a place in the city where they can network with like-minded people and mentors, and nurture their ideas. The survey, conducted across Bengaluru with over 1,600 respondents, was commissioned by Samsung Electronics to gauge the issues faced by young budding entrepreneurs in shaping their ideas. When asked what they thought defines the character and nature of Bengaluru, respondents pointed out to the city’s startup culture, innovation and R&D, technology business as well as its art and culture and heritage buildings, highlighting the diversity of the city, especially its millennials who are looking for interesting experiences in the city. While a third felt the city’s heritage buildings and architecture, which is a mix of colonial and art deco buildings spread across the city, defined its character, almost four in five of the millennials said they rarely ever notice heritage buildings in the city when travelling within the city. A sizeable 77% of millennials and 63% of non-millennials say they would want to restore heritage buildings and see them being converted into public spaces for art, culture and other events around technology and startups to hone the dreams of its residents. Most respondents felt the city currently has a shortage of such spaces. These millennials and non-millennials alike want heritage buildings across the city to be restored, development of more art and culture venues in the city and greater number of parks and outdoor spaces to be created for recreation, again highlighting the fact that people of the city crave public spaces and care for its culture and heritage. These aspects are something that the rapid growth of the city as the technology centre of India may have ignored over the years. “Bengaluru is India’s undisputed tech hub. As the information technology business has grown over the years, it’s also acquired the moniker of India’s startup capital. No wonder 81% of Bangaloreans say they have at least one game changing idea in our survey. But we found that while technology might be centre stage, the city has a heart. The city loves its art, culture, which is why they want to save heritage buildings and turn them into beautiful venues for concerts, museums and public spaces for art and culture. 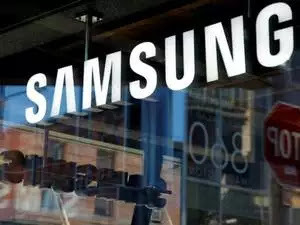 They also seek more venues for networking creative and business ideas they have,” said Mohandeep Singh, Senior Vice President, Mobile Business, Samsung India.